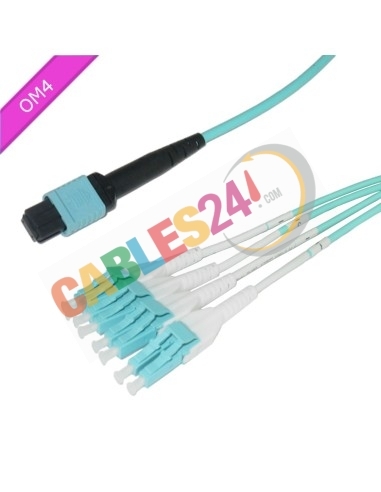 Shop Online Cables24, available for sale Multimode Fiber Optic Cable LSZH 50/125 OM3 MPO / MTP 12 fiber OM4 Polarity A, at the best price, has an MTP connector facing by precision guide pins that align it without any margin error. The ferrule of a MTP / multimode MPO connector has a flat end and at the other end has a termination with four connectors LC Duplex (01.04 / 12.09). In Cables24 we assure 100% verification of all cables and that they comply with all dimensions and tolerances required for inter operability between products from different manufacturers. Cables have 3 meters, 5 meters, 10 meters and 20 meters. 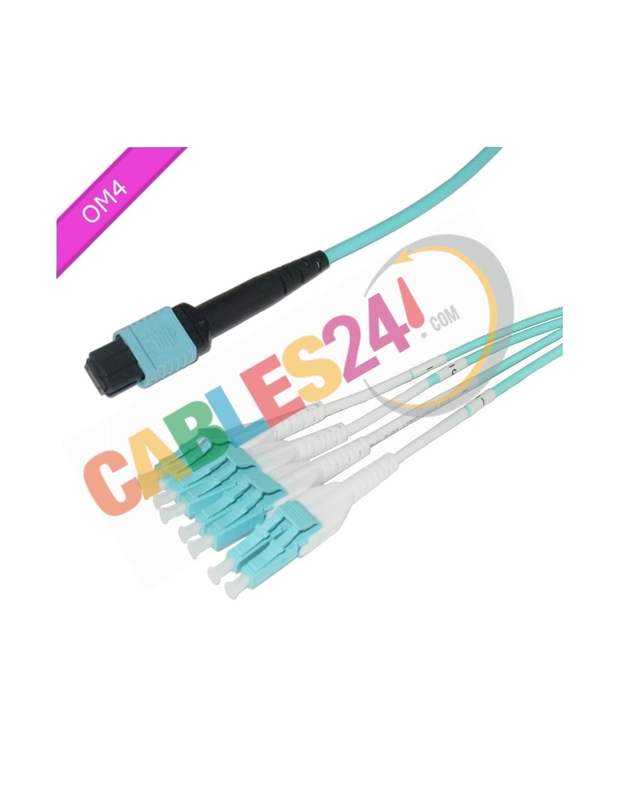 We are manufacturers, if you want to buy a cable but can not find what you need or have questions, please contact us and we will help.